William has served in full time ministry for 25 years as a pastor, minister of music and District Superintendent in the United Methodist Church. 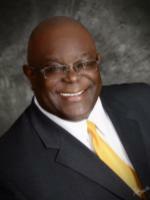 In the United Methodist Church William currently serves as a New Church Strategist in the Southeast Jurisdiction. William’s portfolio includes, African American churches, pioneering new faith communities, and assessments. Michelle and William have been married for 18 years with one teenage daughter. Rev. William T. Chaney Jr.